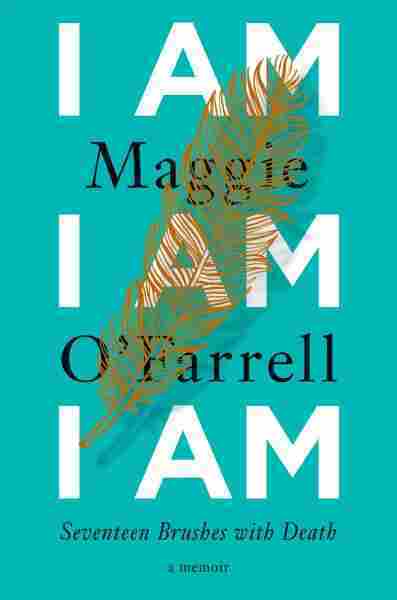 'I Am' Living Life To The Fullest, Despite Its Perils Maggie O'Farrell's first book of nonfiction is a memoir — by turns thrilling and agonizing — of all of her brushes with death. And there have been many, from childhood illness to deadly riptides. About halfway through her first book of nonfiction, Edinburgh-based author Maggie O'Farrell explains her latest project to her mother: "I'm trying to write a life, told only through near-death experiences," she says. It's not exactly an autobiography, more like "snatches of a life. A string of moments." Most of these dramatic moments will come as no surprise to her mother, who miraculously survived the various near-fatal accidents and illnesses of O'Farrell's hair-raising childhood along with her daughter. "You were," she says with a sigh, "a nightmare to rear" — contrary, wild, willful, intractable, rash. She adds, "If you have easy children there's no justice in the world." As readers of these often harrowing pages will discover, justice has been served. I Am, I Am, I Am takes its title from what Sylvia Plath described in The Bell Jar as "the old brag of my heart. I am, I am, I am." O'Farrell's memoir is a frequently nerve-wracking read, particularly for cautious, apprehensive worst-case scenarists. Several chapters into it, with my heart beating Yikes, Yikes, Yikes after intense descriptions of a terrifying encounter with a man seething with ill-intent on a remote solo lakeside hike, an ill-advised night dive off a pier spurred by teenage bravado, and a plane losing altitude as rapidly as the dashed academic ambitions from which O'Farrell was fleeing, it occurred to me that this might be precisely the wrong book for me. And yet, it isn't. As its title suggests, its pounding pulse is ultimately life-affirming. It's an extraordinary book, a reminder that while life has its limits and can be unpredictable, we should push against limitations and not give in to fear. It is also, like O'Farrell's seven intricately constructed, blissfully absorbing novels, full of surprises. As in her fiction, including The Hand That First Held Mine and This Must Be the Place, moments of beauty ambush the reader as unexpectedly as malevolent predators. An intrepid adventurer, O'Farrell emerges from a lung-and-body-bashing riptide in the Indian Ocean with a heightened appreciation for her exotic experience: "The feeling of having pulled my head, one more time, out of the noose becomes intermingled with, indivisible from, the mimosa trees, the goats, the wave that turned me over, the toasted-resin smell of cinnamon bark," she writes. Her senses — and sentences — are vividly alive. O'Farrell eschews chronology, instead dipping and swerving through time, as she does in her novels. By saving for last the seminal experiences that have most strongly shaped her past and present, she amplifies their impact. Unlike many of the common, not-so-near-misses enumerated in earlier chapters, these are unequivocally traumatic. "Cerebellum 1980" revisits her terrifying hospitalization with severe encephalitis at age eight, which she calls "the hinge on which my childhood swung." The illness left her with permanent damage, and she credits her mobility to the determined physiotherapists who ignored her doctors' bleak prognoses. Mortal threats are more common than we think, her book demonstrates, but you can't let them stop you from experiencing life to the fullest. Her survival against all odds explains much of the risk-taking detailed in earlier chapters. "Coming so close to dying as a young child," O'Farrell writes, "only to resurface again into life, imbued in me for a long time a brand of recklessness, a cavalier or even crazed attitude to risk." She acknowledges that it could have gone the other way, adding, "It was not so much that I didn't value my existence but more that I had an insatiable desire to push myself to embrace all that it could offer." She had become, she says, "sanguine — perhaps to a fault — about death." Such sanguinity does not extend to her three children, as we learn in a searing final chapter that opens with a mad race along Italian roads to find a hospital during one of her middle child's periodic anaphylactic attacks brought on by a life-threatening immunological disorder. O'Farrell's un-self-pitying ferocity recalls the heartache of Dawn Davies' powerful title essay in Mothers of Sparta, which chronicles the maternal grit required to raise her sociopathic, autistic son. O'Farrell describes the challenges such parents endure: "Your lives are conducted with a constant background hum of potential peril. You begin to experience the world differently ... You must always be tabulating and assessing risk." Dedicated to her children, I Am, I Am, I Am is filled with lessons the rest of us would be wise to heed. Mortal threats are more common than we think, her book demonstrates, but you can't let them stop you from experiencing life to the fullest. "You need to expect the unexpected, to embrace it," she writes, adding, "the things in life which don't go to plan are usually more important, more formative, in the long run, than the things that do." O'Farrell is here to prove it. And so, she asserts movingly, is her daughter: "She is, she is, she is."